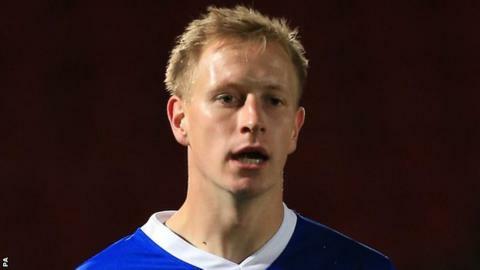 Wrexham's title bid suffered a blow as they were held to a draw by Alfreton in the Blue Square Bet Premier. The Dragons took the lead in the eighth minute through Kevin Thornton's 25-yard shot, but they were second best for most of the game. Scott Boden tapped in a deserved equaliser for Alfreton, who dominated for long periods, from six yards. Wrexham stay top on goal difference, but will rue late missed chances for Dean Keates and Dele Adebola. Wrexham player/manager Andy Morrell told BBC Radio Wales: "You need to win your home games. If you draw away at Barrow and you win here you'd probably take that. "But it's disappointing because we've had the majority of the game and just haven't been able to create enough good play to take the lead and keep the lead and we've given a sloppy goal away again and it can cost you. "If you win all your games from now until the end of the season then you deserve to go up. "Disappointed not to get the three points at home, but you take your disappointment on to the next game."